Everyone thinks of helmets. Jackets are pretty popular too. People are all about accessorizing with the right gloves and shoes. What about the pants? Honestly, it is one of the least asked questions that we get. Nobody remembers their pants! 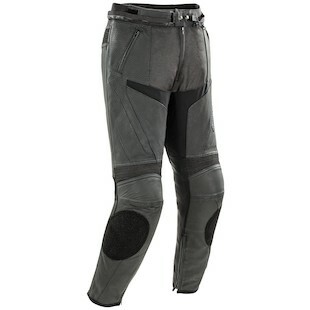 The new Joe Rocket Perforated Stealth Sport Pants are great for summer riding. Constructed of 1.1 - 1.3mm top-grain cowhide, these are sturdily built for both longevity, durability and protection. Underneath the outer shell you will find CE approved armor at the knee as well as adjustable high-density hip padding for additional comfort. Full flex leg panels, an adjustable waistband, and articulated expansion panels also work to increase mobility while on the bike. If the super aggressive leather pants are not your style, you can also look at the Joe Rocket Accelerator Riding Jeans for a more casual look, yet still retain a high degree of moto-specific protection. 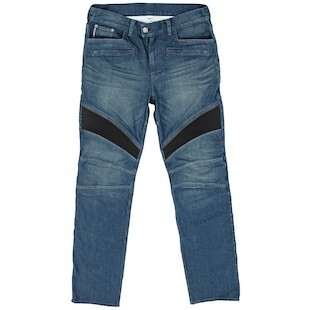 From within the 12oz Heavy duty denim the Kevlar reinforcements in the knee, hips, and seat act as a second line of defense and extend your slide time on the pavement in the event of a crash. Additionally you will be able to add armor at your own discretion as there are pockets already located in the knees. With aramid fibers that are used in aerospace, military, and ballistic applications, you will be getting a top-grade construction at a very high bang-for-your-buck value. When you go out for your next ride, take a good inventory of your gear. You probably have a helmet (or at least you should! ), likely have a jacket, and possibly have some specialized gloves and or boots. At the least these are things that you have thought about. If pants on not on your list, then they should be, and you should check out the new Joe Rocket lineup for a few popular options.